Flex Foam Finger Pockets are soft, dense foam pockets that fit over your fingers for easy and efficient cleaning. 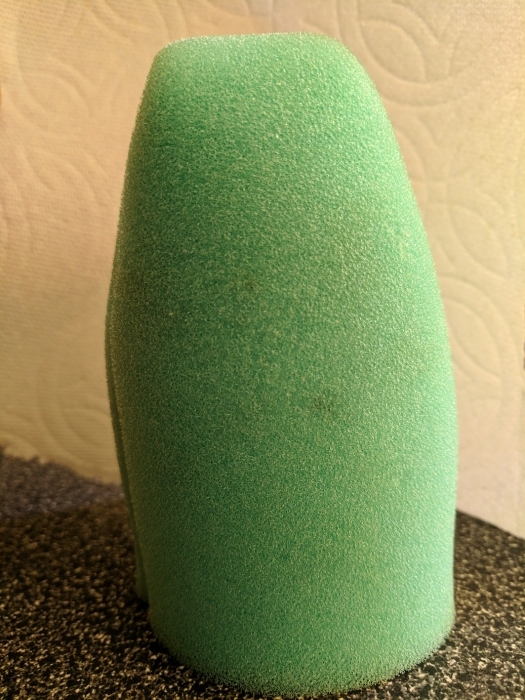 Use Green Medium Flex Foam Finger Pockets can be used to apply tire and wheel glazes without the mess! The 3 finger pockets that I received did not have the rounded curve that appears in these photos and instead looked like the Wolfgang Finger Pockets. That might be a good or bad thing to you, but thought it was relevant. I did not find these finger pockets very helpful for applying polish to my wheels. They do not absorb much polish, and therefore seem to sort of smear what you apply more than apply an even coat of polish. It's possible that it's just the wrong choice and I should have purchased the "fine" grade, but after 1 wheel I switched to the standard round yellow foam applicators, and they were easier to use. I love these things for the final polish on stainless steel exhaust tips. After using 0000 steel wool I finish with these and some metal polish. Price is way more than it should be but a nice tool to have around. You can use them to polish under door handles or many other things as well. Use your imagination. I do wish they had more cut. I used to leave my lug nut area dirty, but not anymore! These things slide easily on your hand and make cleaning areas a sinch.This is perfect for getting all the spots you don't reach around with a mitt and you will not regret getting it. I love this product and wasn't originally going to get it but decided to anyways and I'm glad I did!